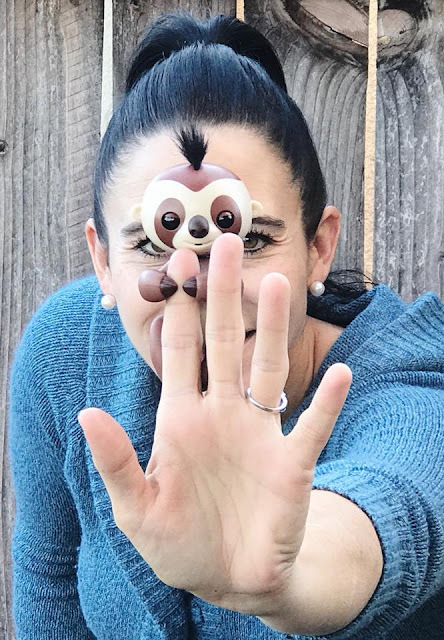 One Not So Bored Mommy: Meet KINGSLEY The @Fingerlings Sloth - THEN GO BUY Him EXCLUSIVELY AT WALMART! 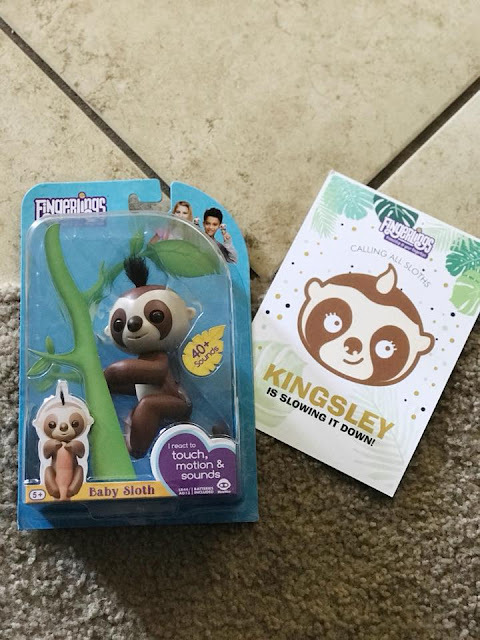 Meet KINGSLEY The @Fingerlings Sloth - THEN GO BUY Him EXCLUSIVELY AT WALMART! 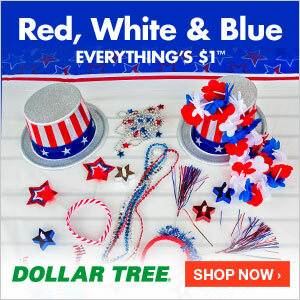 As you know, we have been telling you a lot lately about these adorable, noisy, fun and interactive toys that will be on MOST KID'S Christmas Wish Lists this year!! His name is Kingsley and he's the most adorable SLOTH! 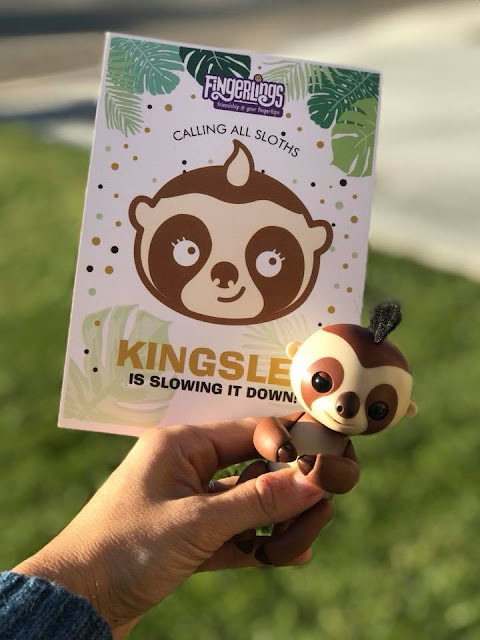 In true SLOTH FASHION & STYLE, he moves 20% slower than the other Fingerlings critters. He still does all the other sweet things that Fingerlings do, he sings, he blows kisses, he goes to sleep, he makes all sorts of noises, he passes gas, he likes to be rocked or swing from his tail, etc. SIMPLY PUT, he's adorably entertaining in slower SLOTH manner! 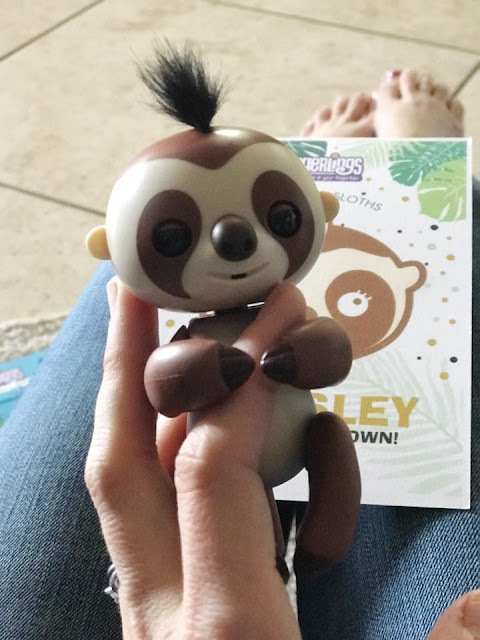 I'm telling you right now...if you have a SLOTH LOVER in your home, you are going to want this little guy! He will be available starting on the 17th of November...so RUN, get in line or call dibs on HIM before he's sold out in stores...cause it's going to happen quick! That's why I am telling you about him now!! 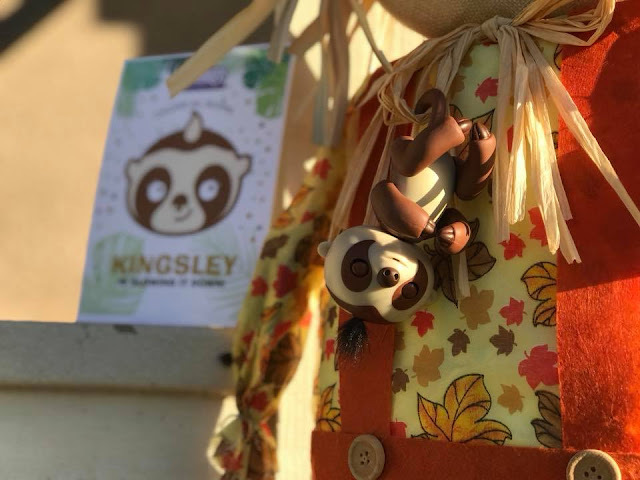 Kinglsey the sloth, the newest Fingerlings Friend makes an adorable addition to the already SUPER STICKY SWEET Fingerlings Family! 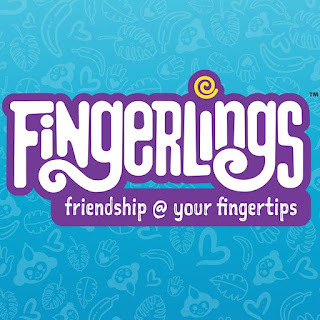 CLICK HERE to learn more about Fingerlings and why your children will be obsessed with them this Christmas!